Introducing the FIRST EVER Chicago Taco & Tequila Fest benefitting Chicago Canine Rescue!!! As you first enter the gates, your first margarita is on the house, included with your ticket. The festival will feature Chicago’s best tacos and curate a summer cocktail vibe in its can’t-beat location at the south end of scenic Lincoln Park. The festival will also feature margarita flights, 3-hour tequila tastings, mixologists, art vendors, live island bands and DJs. 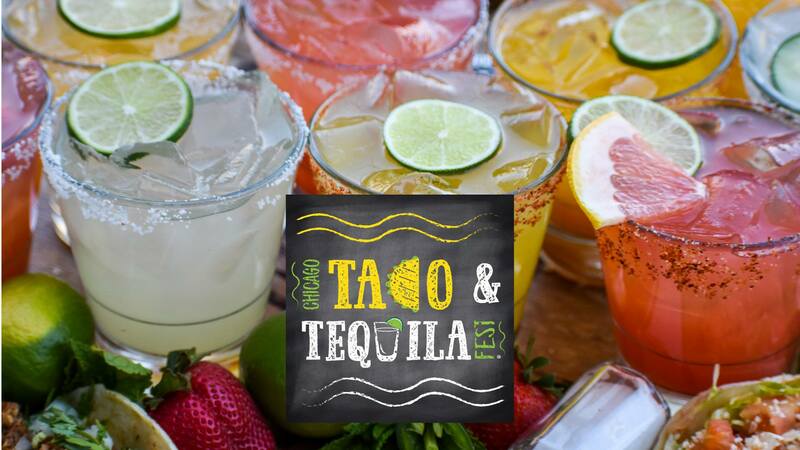 Includes 12 tasting tickets to over 20 tequila varieties and a Chicago Taco & Tequila Fest tasting glass. Mixologists will demonstrate the proper way to prepare tequila drinks and share the history of those drinks around the world. A private steel drum performance will accompany the session. Designated driver tickets are offered to those who would like to partake in this summer experience but do not plan on drinking alcohol. Need a more paw-fect reason to attend? The Chicago Taco & Tequila Fest benefits the Chicago Canine Rescue.